为什么中国没有皮卡?我来自德克萨斯州，所以我希望看到皮卡 [美国媒体] Why are there no pick-up trucks in China? I'm from Texas, so I expect to see pick-up trucks. Why are there no pick-up trucks in China? I'm from Texas, so I expect to see pick-up trucks. First of all, enjoy your stay in China! The basic reason for this is that the car culture in the cities of China is VERY VERY different from the typical suburban America (like Texas). Let’s not discuss government regulations yet. As you probably know and experience, Americans use their cars a lot for a variety of reasons. This may sound like a random broad statement but you need to remember that. In suburban America, you drive to work; you drive to groceries; you drive to take your kids to their sport games during weekend; you drive to bring your entire family to Disney World for vacation; you drive to visit a neighboring city for work. Therefore pick up trucks have greater practicality and applications in America than in China because the wide space provides lots of cargo space and comfortable passenger space, and you can carry additional items like ATVs, bikes, and skis in the back easily. The population density of America is not even close to China, and most of suburban America is built after the introduction of the car, which means wide roads, abundant parking, and in general, a favorable environment for driving. So having a car that can do everything you need it do (a.k.a. pick-up truck) is favorable. Now let’s look at China. In China, any truck needs to have their information painted on their doors. I think that is gonna look real ugly on a pick-up truck for personal use. Chinese cities are mostly either designed before cars became a common thing people can afford or without cars in mind. This results in narrow lanes, tight parking spaces, very narrow alleys and backstreets, narrow freeway lanes, basically like Europe although not as bad as Europe, because some parts of China were designed with the car in mind. However, still, these are not favorable conditions to drive a pick-up truck. In China, trucks have to go through a lot more annual inspections than small cars. And gas is more expensive than the US. Pick-up trucks generally have worse fuel economies than cars. In the ‘touristy China’ (big cities), public transportation and alternatives are widely available, reducing the need for a car. And not a lot of people own ATVs or need to transport big personal items around town on a regular basis. Finally, the most important factor: many Chinese cities restrict trucks from entering Downtown. Pick-up trucks are classified as trucks, so that restriction also apply to them. Duncan Wallbank, Lives in Melbourne. I’ve travelled quite a lot and pickups are generally pretty rare around the world. I think this simply comes down to practicality - and pickups are neither here nor there. They sort of a cross between a normal car and a work vehicle but not ideal for either. I suspect at some point in the early days of cars in the US some manufacture just decided to start cutting the back off cars and bolting or welding a deck on the back as a simple means of increasing sales to a broader demographic and the pickup was born. Problems with pickups are that they have a long bonnet (hood) so part of the overall length of the vehicle is wasted. The back wheels usually protrude into the read tray so limit space and utility – this is particularly true where twin back wheels are desired to carry more weight. An advantage would be that they drive more like a car and arguable handle a bit better with a lower centre of gravity. If you look at the image below, you see an over-engine cab which maximises the usable payload length compared to overall length, the rear wheels don’t impinge on the deck space, light trucks like this are often rear-wheel drive and therefore have a better turning circle than a 4x4 and in congested areas length and manoeuvrability are extremely important. This one is described as a 1.5t lorry though there are smaller and larger versions to meet every conceivable need. Twin-cab versions (front and rear seats) are also widely available. 2: Expensive. To protect global environment, Chinese government collects a kind of Displacement tax to encourage people to choose energy-saving and environmentally friendly cars, instead of pickup trucks. And the gasoline fee in China is much more expensive than in the USA. 3: Inconvenient. In China, Especially in big cities in China, land is rare and valuable. And the amount of cars and population is huge. So it is inconvenient to use and hard to find a place to park. And most Chinese families don't have any reason to use a pickup truck. So, now I am in Canada. I hope I can own my own pickup truck after I get a drivers license there. There are pickup trucks in China, but they are not very popular for cities, where most of the foreigners visit. Pickup truck sales account for less than 5% of the total car sales in China. One of the key reasons is policy. 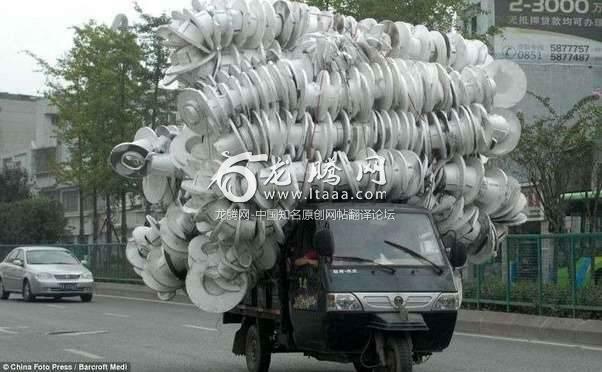 In China, pickup trucks are considered to be, well, trucks. Specifically, it is definitely as a light cargo transporting truck. Unfortunately, China’s population density is way higher than US, particularly for the cities. As the result, many road restrict truck access and pickup trucks got hit by the same restriction as well. That’s enough to give any traffic cop a heart attack, particularly if the road is wet or icy. Not to mention some of the very overloaded trucks are way too heavy and it grinds through the road like field plow and destroying it very quickly. China does make a lot of pickup trucks, but most of them are exported to other countries. As Duncan Wallbank has pointed out, the lack of practicality, a pick-up truck is neither here nor there. Average families in towns and cities primarily carry passengers in their vehicles. Private automobiles haven’t reached rural families en mass. Today, rural families use tractors or even horse-drawn carts to carry cargo. Better off rural population also overwhelming choose passenger cars as their first family automobile. Private contractors prefer cargo vans over pickup trucks because many cities categorize pickups as trucks (in the same category as semis) and barred them from entering city centers, or onto elevated expressways. Additionally, it is difficult to obtain a new licence plate for trucks if your business doesn’t reach a certain scale. Oh, an enclosed cargo van also provides protection against natural elements, and theft. Third party shipping services, big or small, are much more cost effective than owing a seldom used pickup truck. You can pay someone ￥50 on a tricycle to haul a piece of old furniture. For most families in China, they just put out their savings and bought their very first automobile, thus practicality over ego. Now that you mention it……. So what I did was a mental simulation, in which I bought a pickup truck in China, went through a typical day and……..
My best guess is that it’s because space in China is a lot more limited so that most people don’t have dedicated indoor garage (because if you are going to build a building, you’d do something other than put in a garage). Once you have to park the truck outside then you are better off with a van because you can lock your stuff in the van. There are three reasons for this: First, gas is expensive in China, and pick up trucks are not very fuel efficient. Second, the price for new license plates for non-electric vehicles has skyrocketed during the past five years. Third, most Chinese live in cities, and city-dwellers generally prefer to pay for services (such as plumbing, home renewal, PV panel installation) rather than doing everything themselves. As such, they have less need for trucks. That said, Chinese factories and government agencies do own a lot of pickup trucks. 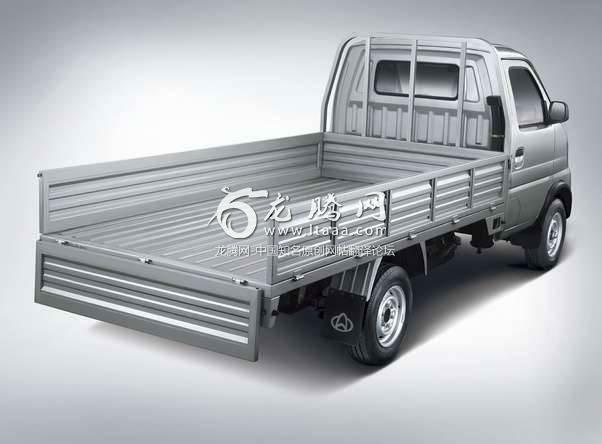 Google Chinese pickup trucks and you will see many many models. You probably don’t see many Confederate flags and gun racks in Chinese vehicles either.